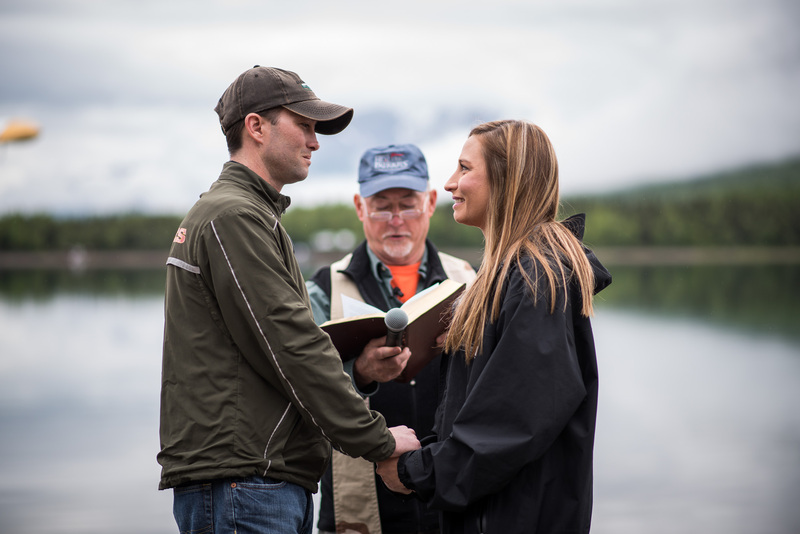 Since 2012, Operation Heal Our Patriots, a project of Samaritan's Purse, has been providing Bible-based marriage enrichment training in Alaska to military couples dealing with post-9/11 combat injuries. One hundred and sixty couples—10 each week for 16 weeks—are scheduled to travel to our wilderness lodge between May 31 and September 18 this year. By the end of the summer season, the program will have served a total of well more than 500 couples in the past four years. 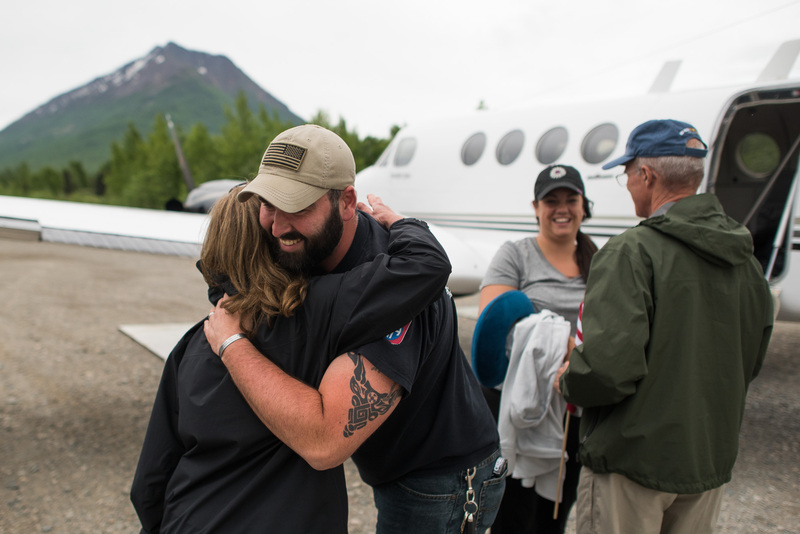 Each group of couples begins their special week greeted by Samaritan's Purse staff and pilots in Anchorage. 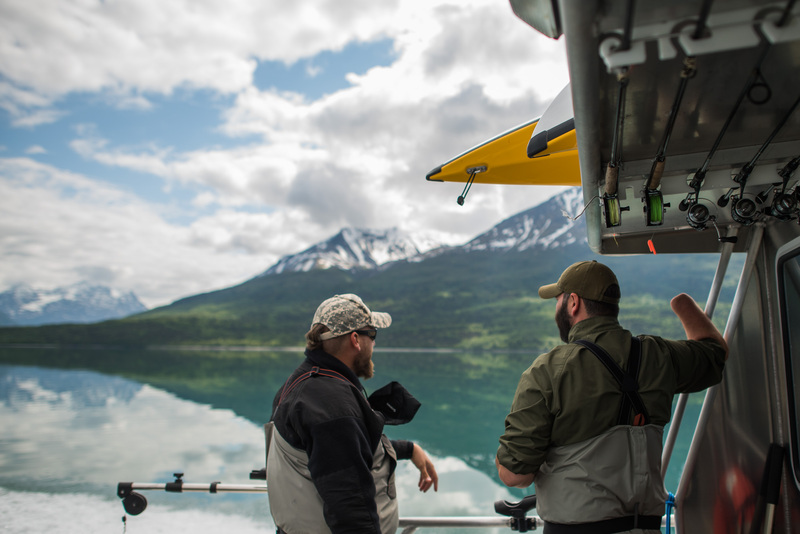 Their adventure soon gets underway as they fly 140 miles to our property in Port Alsworth, adjacent to Lake Clark National Park and Preserve. 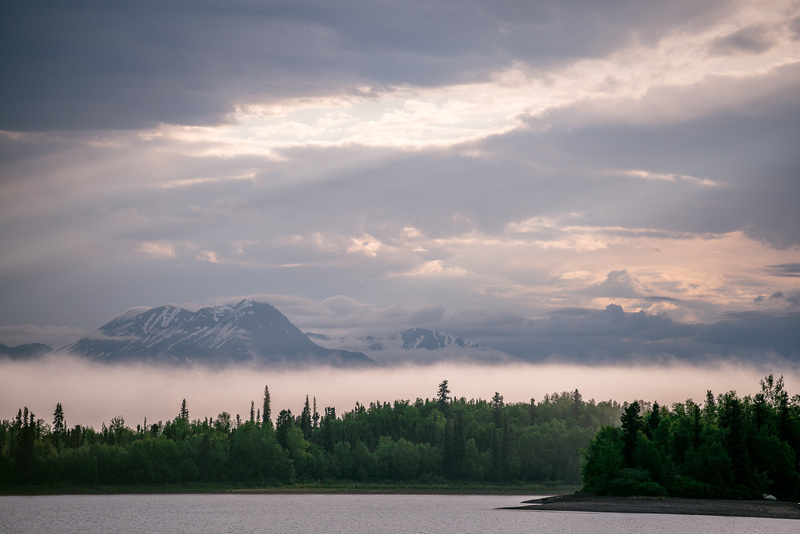 Most find the beauty of God's creation simply overwhelming as they travel past the glaciers and rivers of gorgeous Lake Clark Pass. For many, at least a little of their daily stress starts to simply melt away. 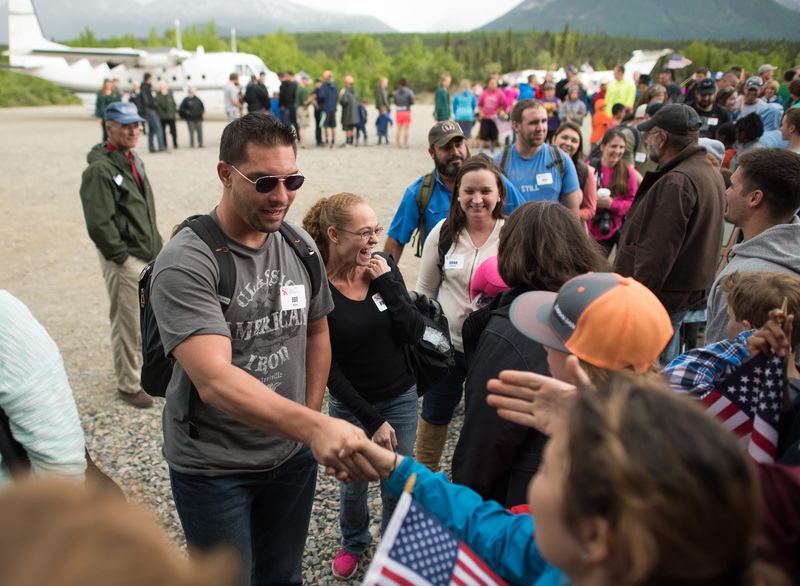 Arriving couples are greeted by dozens of flag-waving Port Alsworth residents alongside our staff and volunteers. It is a moment that nearly always brings smiles and, sometimes, tears. 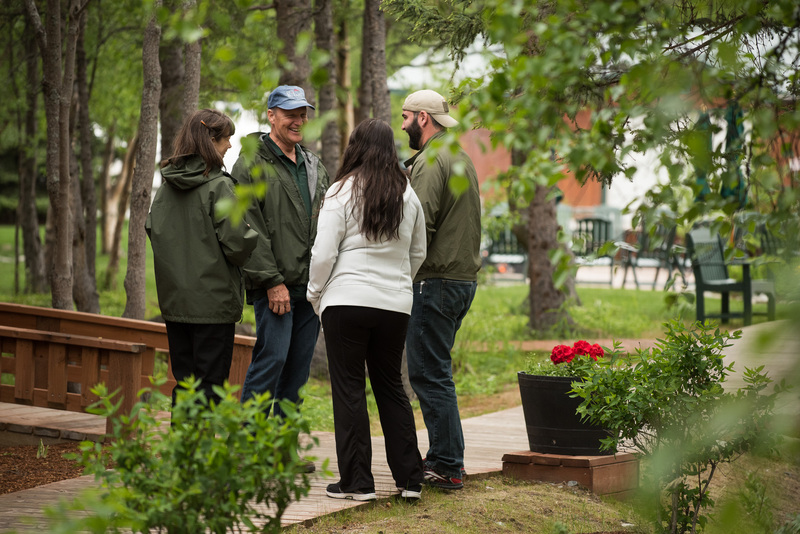 After shaking hands and soaking in the welcome, couples are escorted to their Samaritan Lodge cabins by our staff. 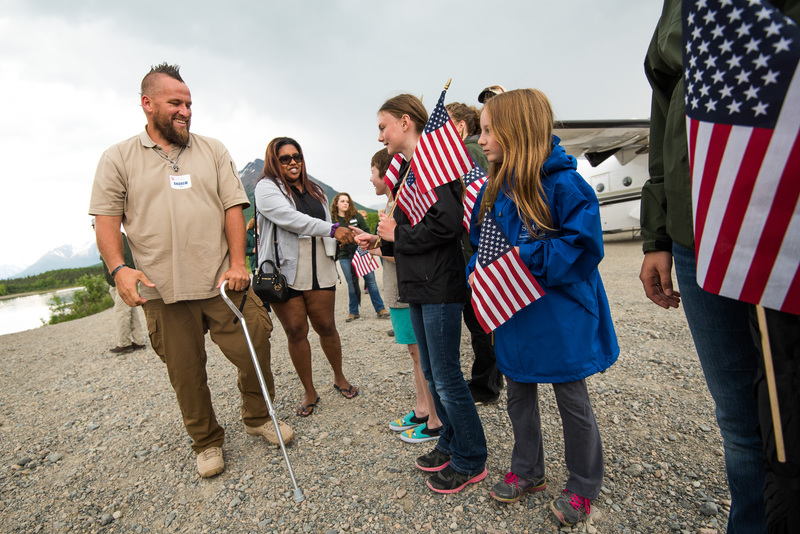 "From the very beginning, right when you get here, there's a sense of welcome and loving and serving," said Becky Dean, wife of Marine Sergeant Mark Dean. 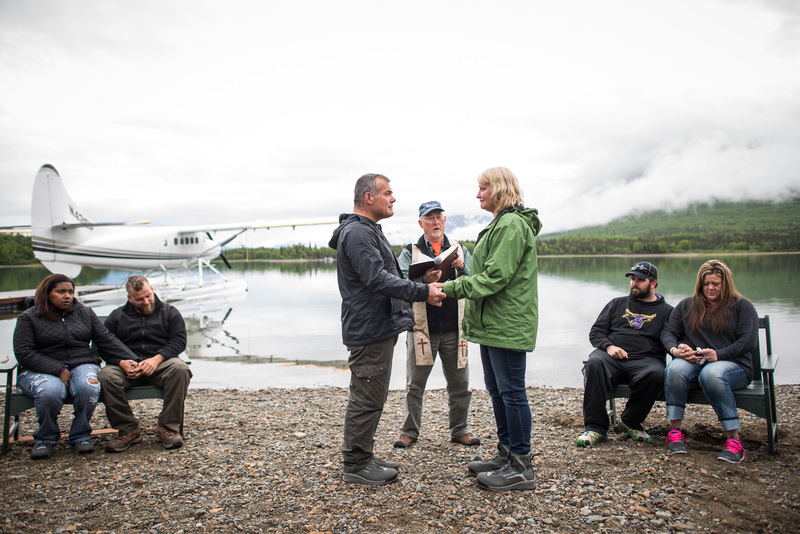 The Oklahoma couple, married in 2003, was among the first 10 couples who traveled to Alaska this year. 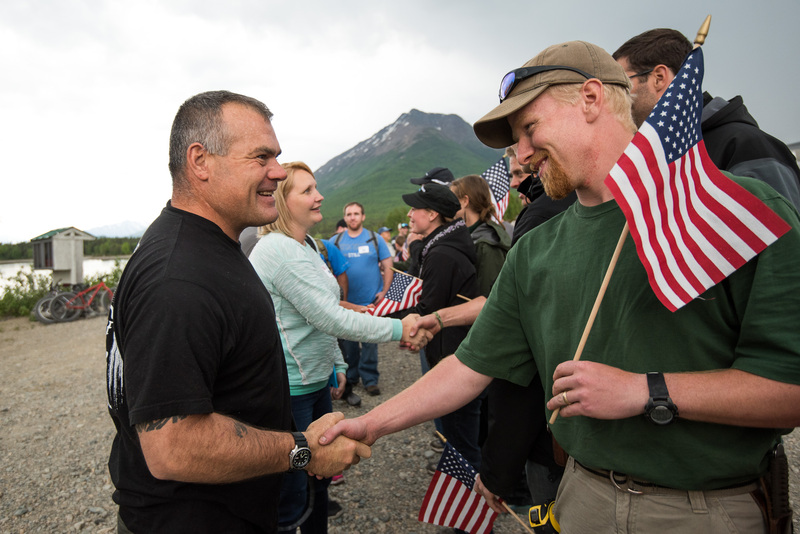 Below: Army Specialist Courtney Shaffer and his wife, Army Specialist Rory Shaffer, are welcomed by staff and town residents; Patriot couples smile at such a warm welcome to Port Alsworth, Alaska; Army Sergeant Andrew Berry and his wife, Becky, are greeted by flags and handshakes; Army Corporal Josh McCart and Amber McCart arrive; Chaplain Dan Stephens and his wife, Linda, greet the McCarts on arrival at Samaritan Lodge. 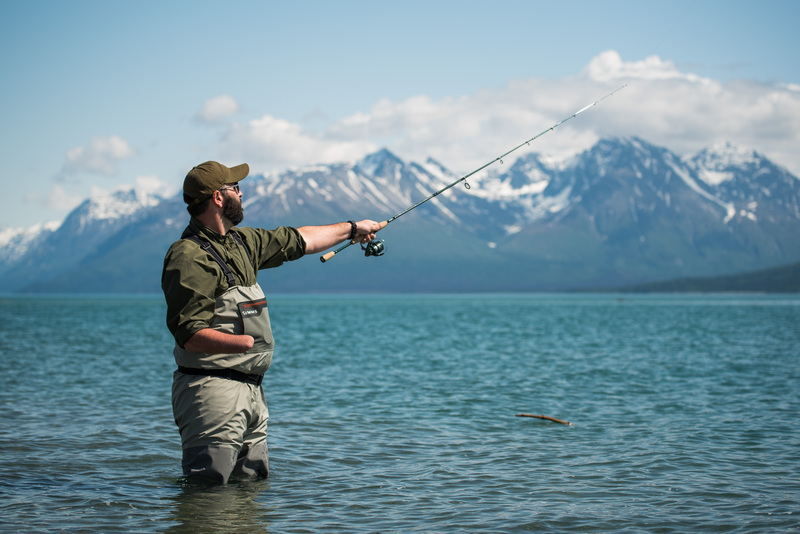 Couples enjoy fishing around Lake Clark points and beyond. 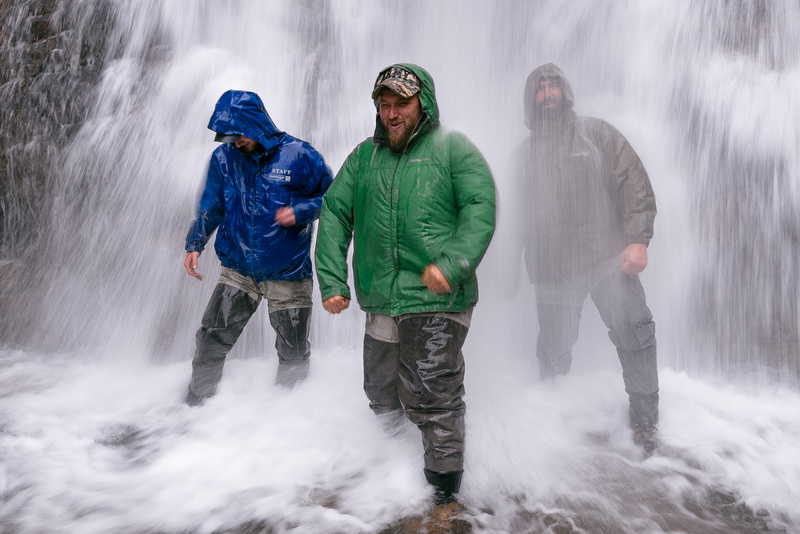 Stopping by an unnamed waterfall near the shore--and braving the cold cascade with full rain gear on--is just another one of the week's many highlights. 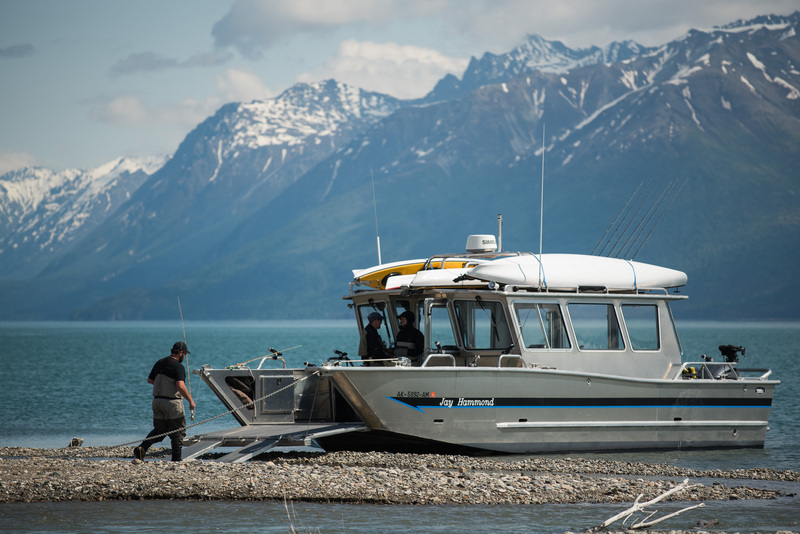 The Jay Hammond, our fully accessible fishing boat, offers participants a comfortable way to explore. 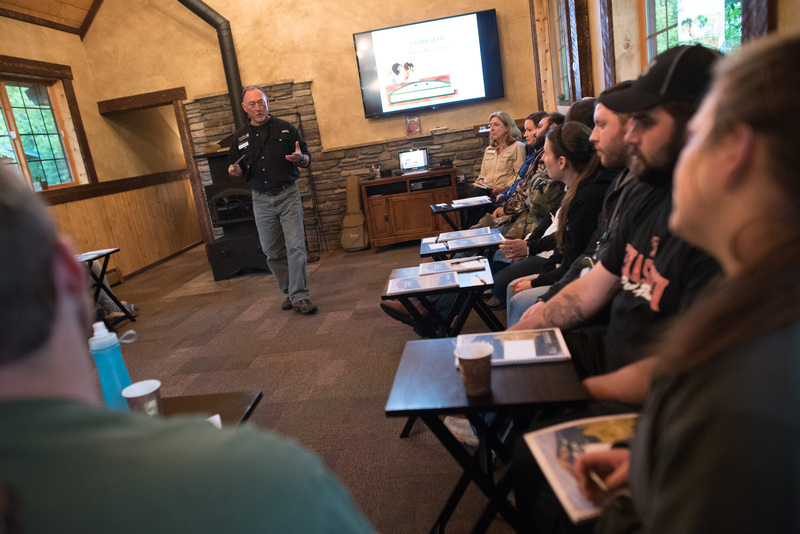 Some wounded veterans, particularly those with more severe post-traumatic stress disorder and traumatic brain injury, do not like going out in public, especially to crowded locations like restaurants. 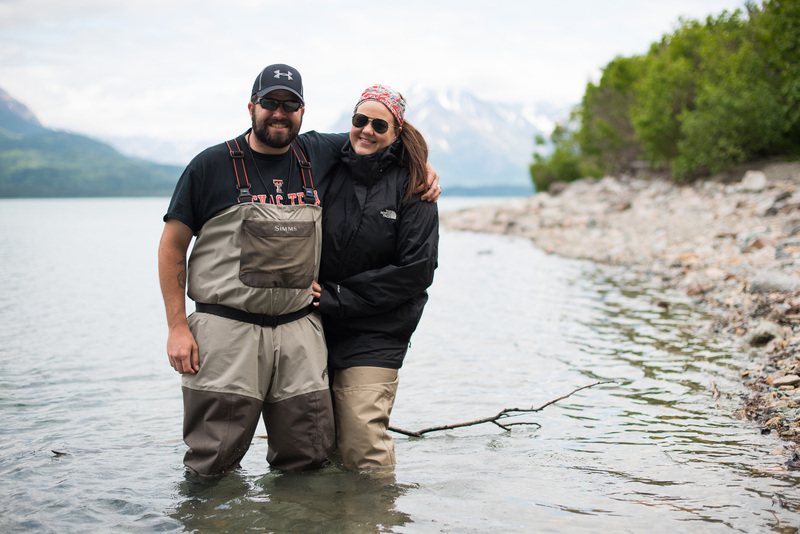 The small number of guests at Samaritan Lodge, combined with the remote setting of the Lake Clark area, offers couples a big, safe space to focus on each other--away from doctor appointments, children's activities, and daily chores such as cooking and cleaning. For many couples, this trip is the only "honeymoon" they've ever had. 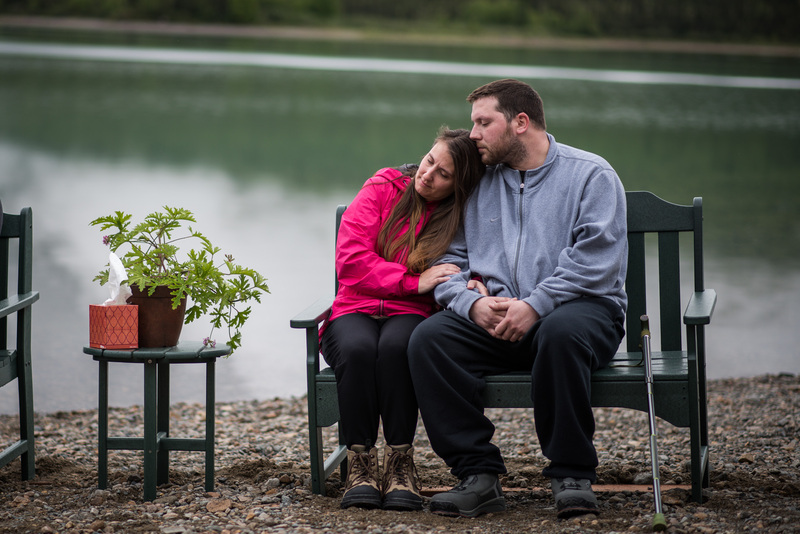 Army Corporal Josh McCart, who lost his hand as the result of an improvised explosive device in Iraq, gave his wife, Amber, an "engagement ring" during their visit to Alaska earlier this year. The couple’s first marriage ceremony was a simple courthouse wedding. To celebrate their 10th anniversary next year (2016), they plan to have a more traditional ceremony with family and friends, so the ring is essentially a commitment to planning that celebration. 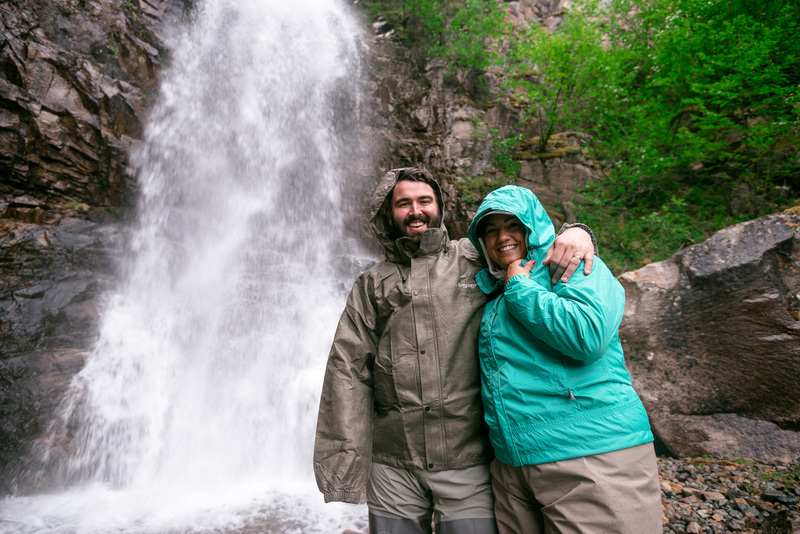 Many couples make the two-mile trek to Tanalian Falls while staying at Samaritan Lodge. 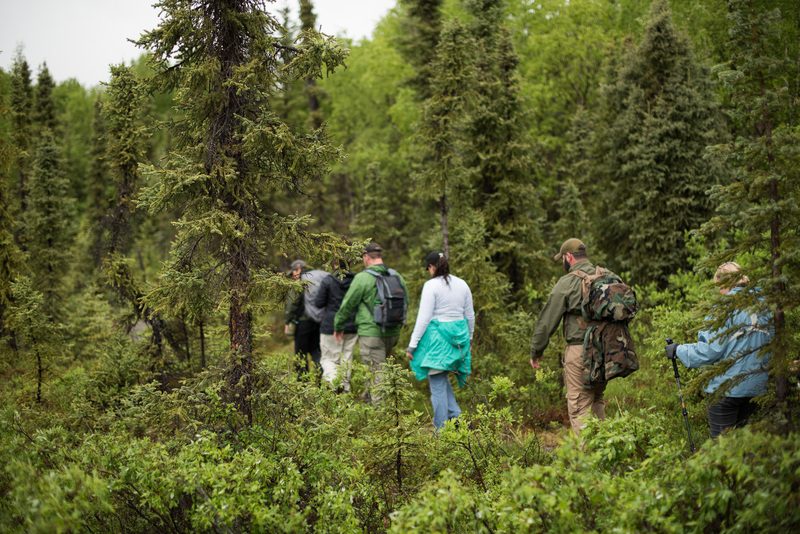 The hike offers visitors a glimpse of beaver ponds, birch and spruce forest, and several varieties of wildflower, with a torrent of water at the end. 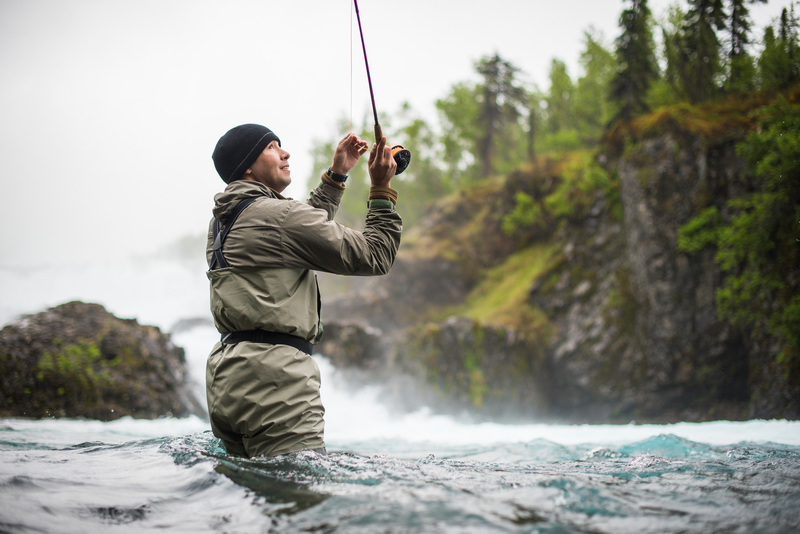 The pools of the falls make a great spot to fish for Arctic grayling. Military couples often face long periods of separation during overseas deployments and training. To have a chance to focus just on each other and enjoy exciting experiences together is a rare treat. 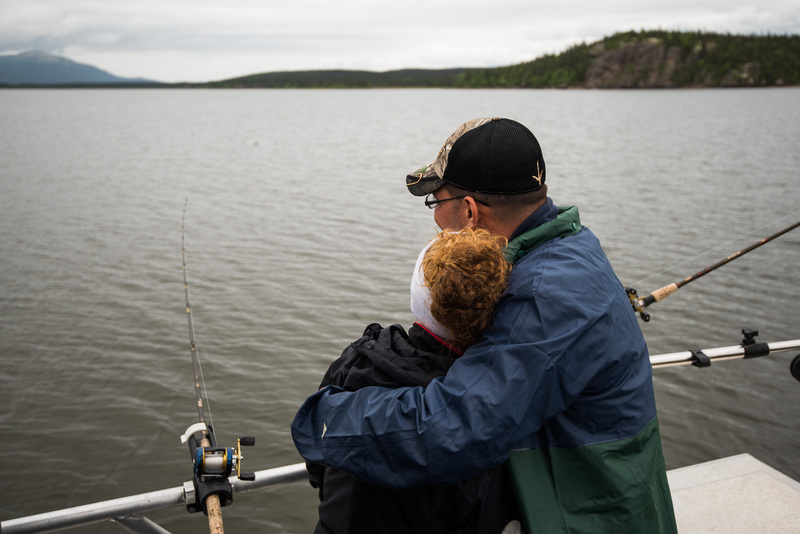 Whether this is their first time fishing together or their 90th, it’s the shared memory that counts. 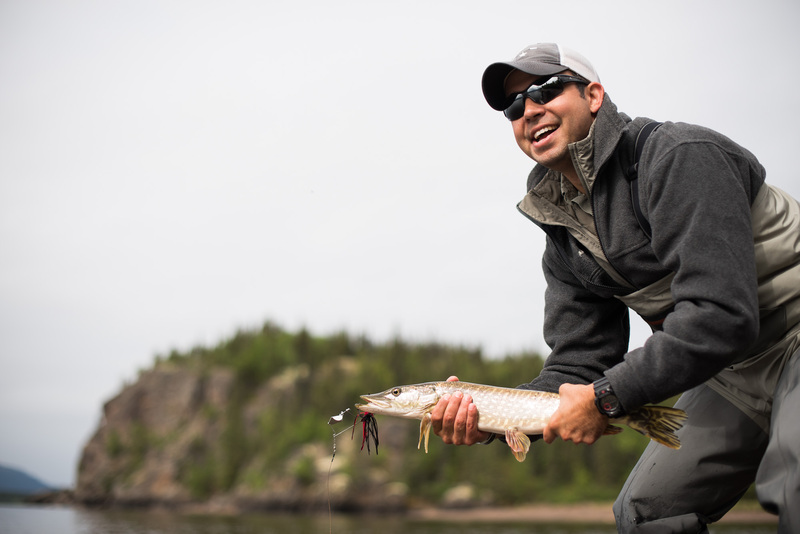 After all, who doesn’t want to have a good fish story in common with their spouse? 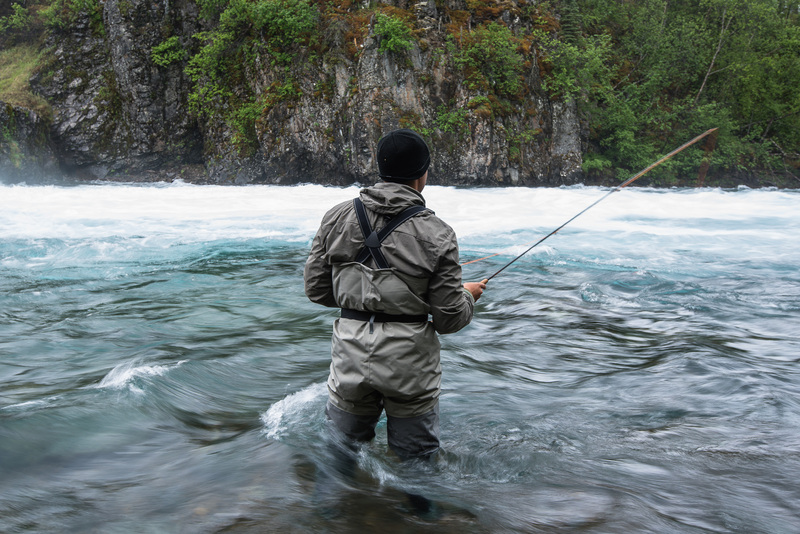 Perhaps not surprisingly, the husbands and wives who travel to Alaska through our program are often quite competitive with one another over the size and quantity of fish they’ve hooked. That competition surely fuels plenty of good yarns to tell family and friends back home. 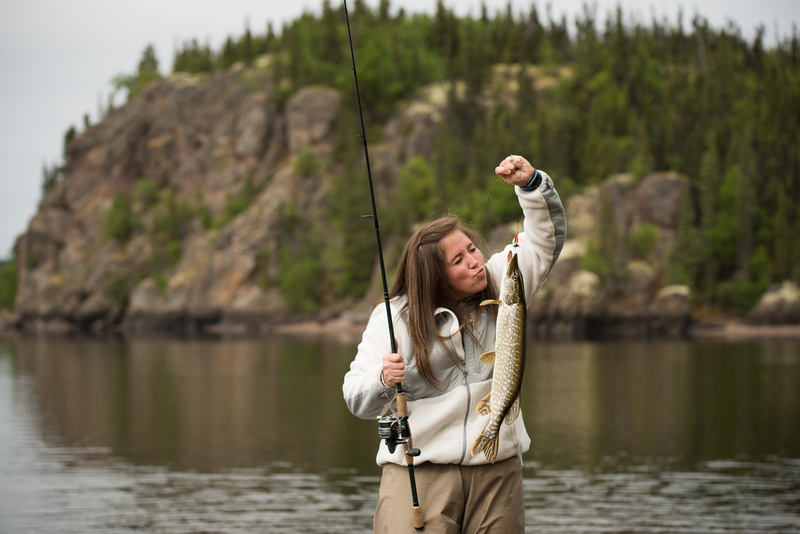 Photos of fish smooches document some catches but there’s always the one that got away . 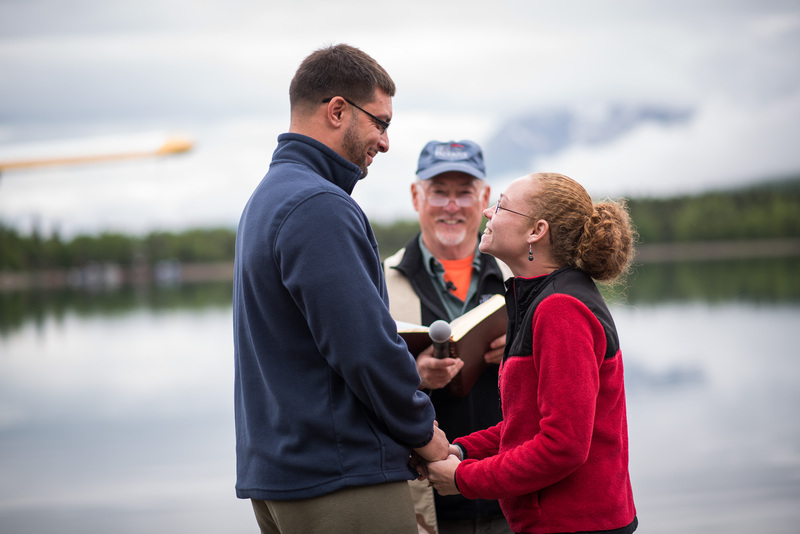 . .
Daily, Bible-based marriage classes provide military couples the tools they need to strengthen their marriage. 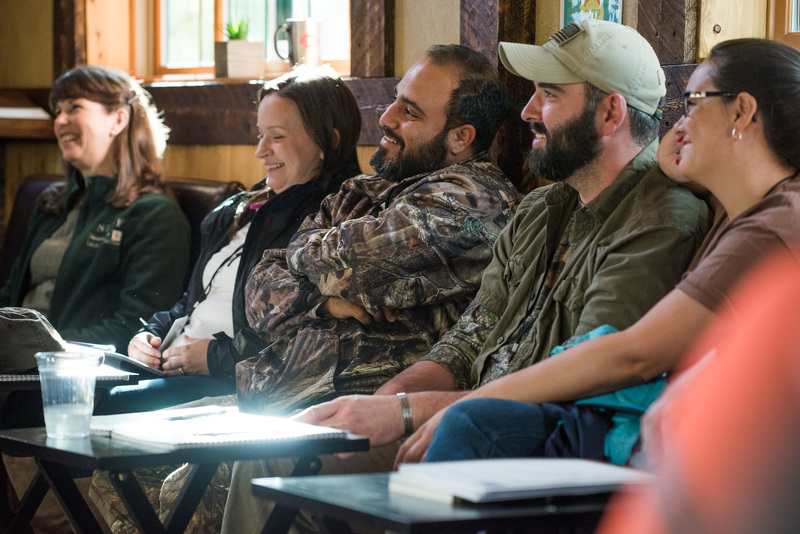 Taught by our staff of retired military chaplains, these classes cover such topics as family systems, love languages, reconciliation and forgiveness, seasons of marriage, and binding hearts in worship. 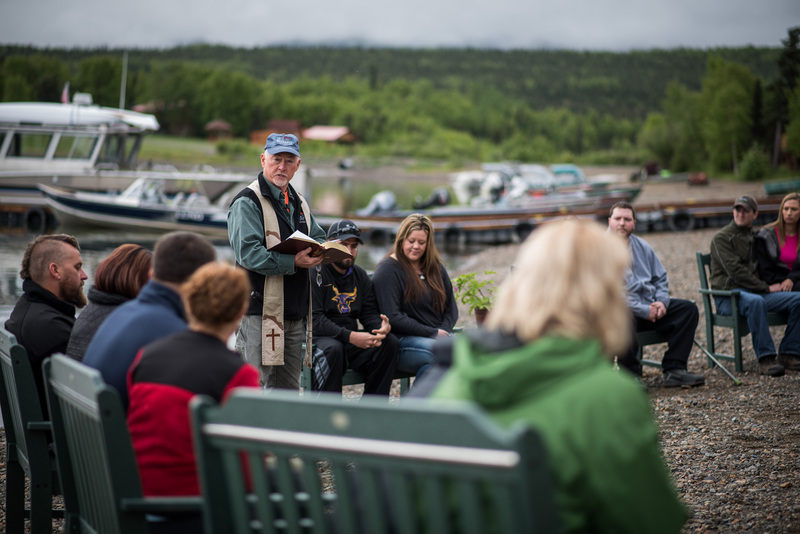 Our chaplains also lead daily devotions for participants, and they and their wives also offer private spiritual counsel to patriot couples who request it. 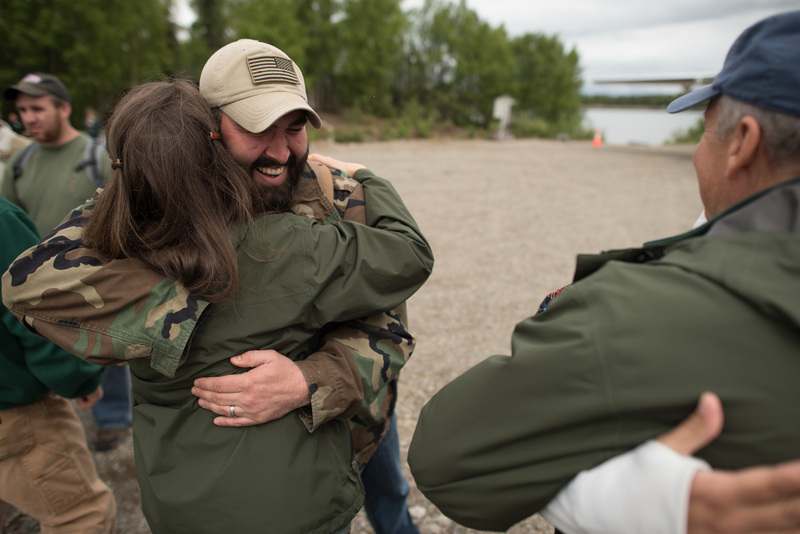 “It’s been great—just what we needed,” Army Sergeant First Class Will Peavley said of his week in Alaska through Operation Heal Our Patriots. An active-duty Ranger, Will has been deployed five times to Iraq and seven to Afghanistan, including a 2010 deployment during which he was shot in the left arm while clearing a building in Kunar Province. Initially, that wound made even something as simple as eating a challenging chore. After a difficult period of recovery, he returned to regular duties, only missing one deployment with his unit. Both committed Christians, Will married Katie nearly 10 years ago, and they now have two children. 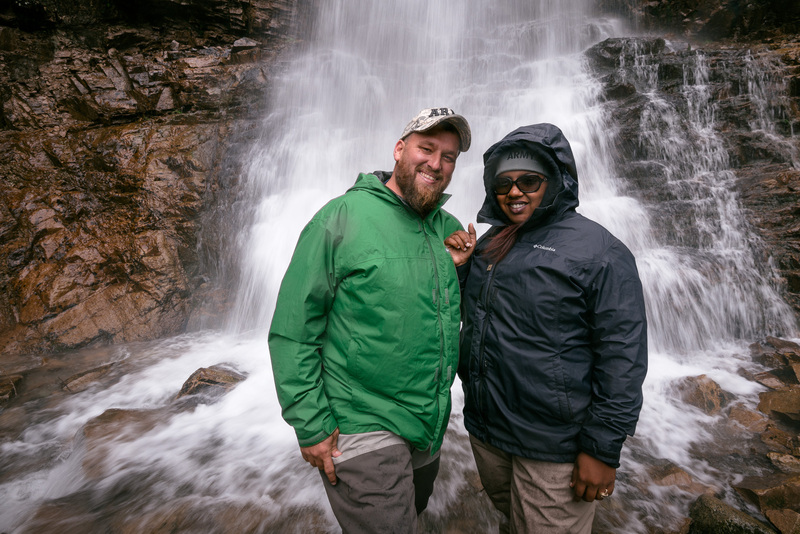 The Savannah, Georgia, couple greatly appreciated time alone together in Alaska to focus on their marriage. At the end of each week, military couples have an opportunity to renew their marriage vows. Our chaplains lead a public ceremony during which husbands and wives commit their families to live under Christ and His Word. 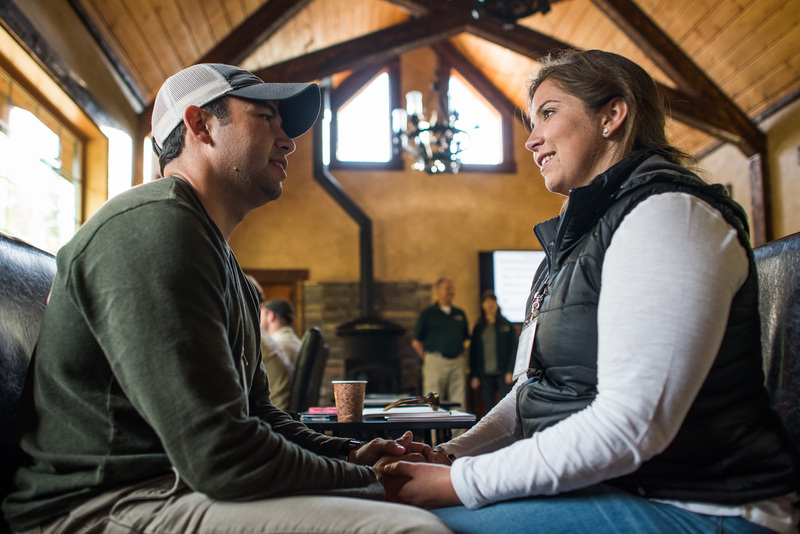 More than 150 couples have rededicated their marriages through Operation Heal Our Patriots. This number continues to expand weekly through the summer season, which ends in September. 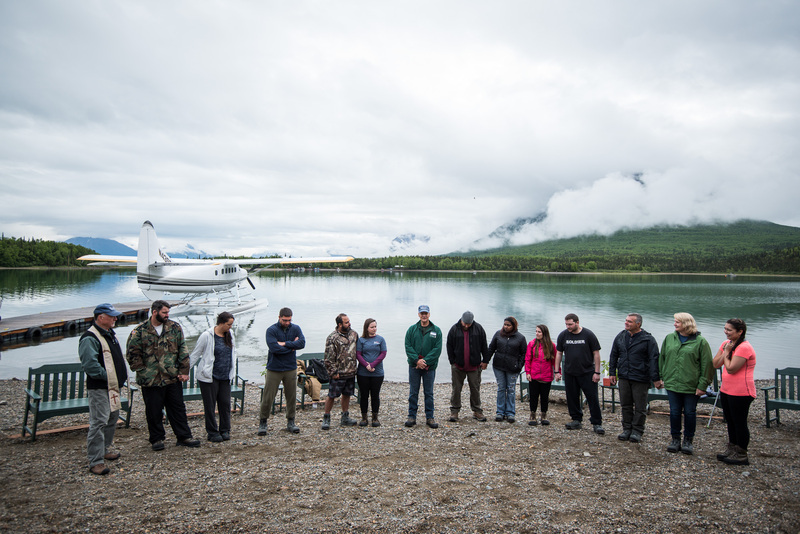 During Week One of 2015, 11 participants were baptized in the take-your-breath-away waters of Lake Clark’s Hardenberg Bay. 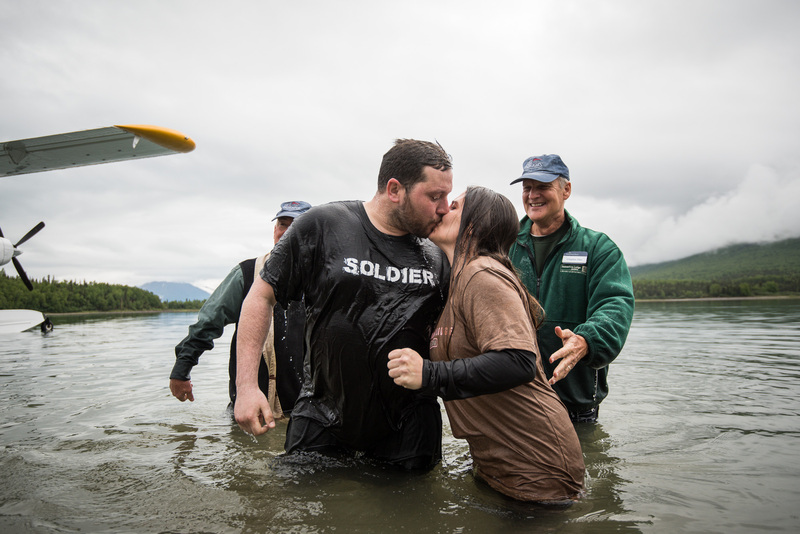 Some come to Samaritan Lodge as relatively recent converts who want to be baptized during their week of marriage enrichment in Alaska. 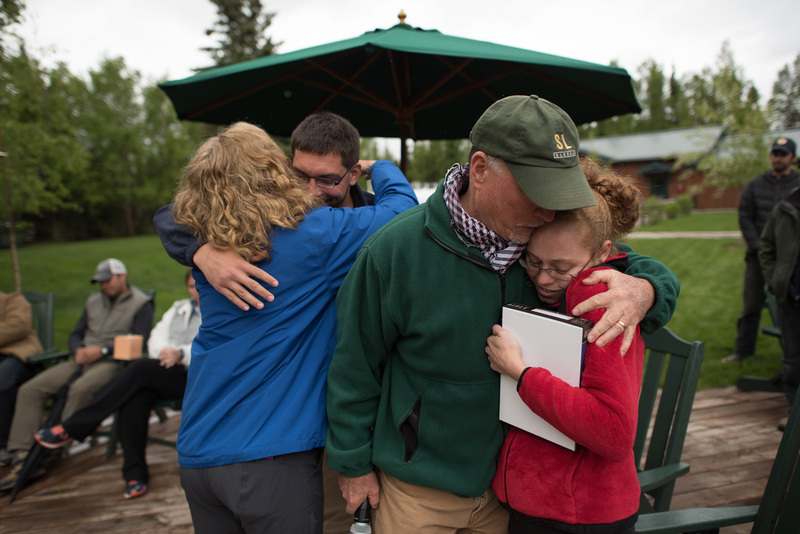 Others are saved in Alaska and want to publicly profess that as soon as possible. Army Sergeant Andrew Berry of St. Cloud, Florida, rededicated his life to Christ and his wife, Becky, gave her life to the Lord for the first time. The couple has four sons, ages 7 to 14, and look forward to following Jesus together. 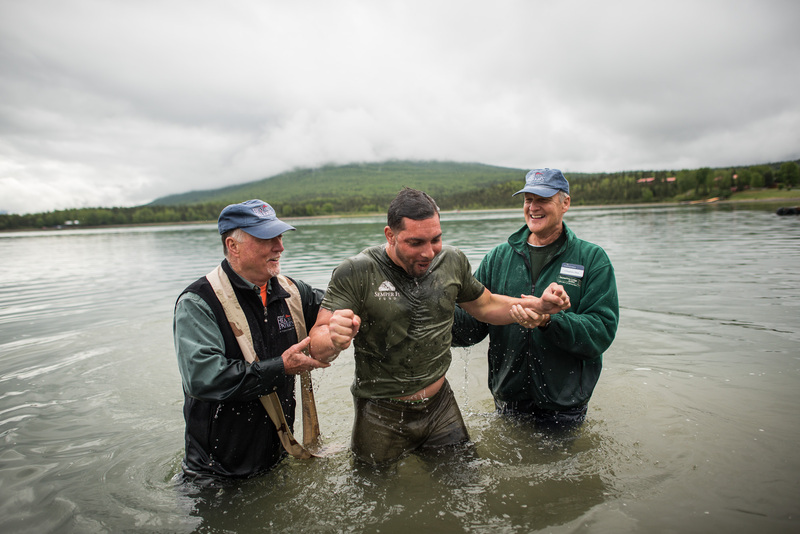 Marine Sergeant Joe Mejias received Jesus Christ as his Lord and Savior and was baptized while in Alaska. “I knew I had to make a decision, take a leap of faith, to accept Him [Christ] into my life, my marriage, and as a father,” he said. 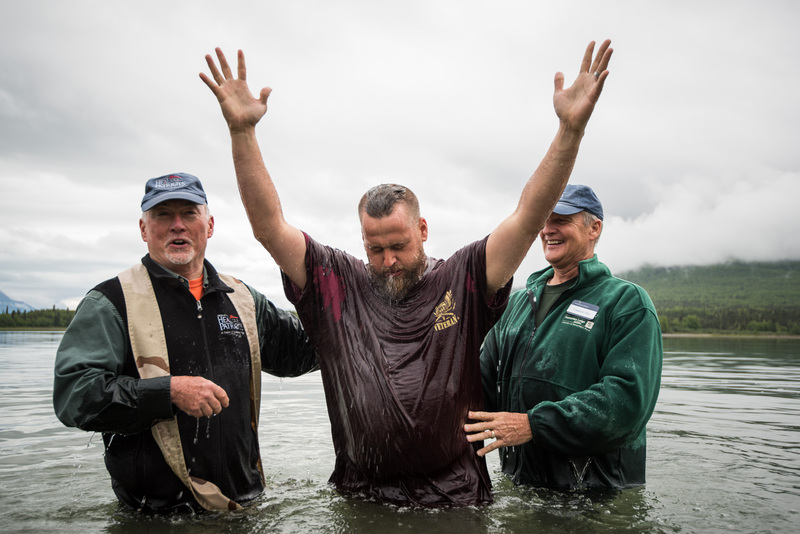 His wife, Brittany, already a believer, and Joe committed their marriage to Christ in a ceremony just before Joe’s baptism. Couples say goodbye to each other and to staff around the fire pit on Friday afternoons. 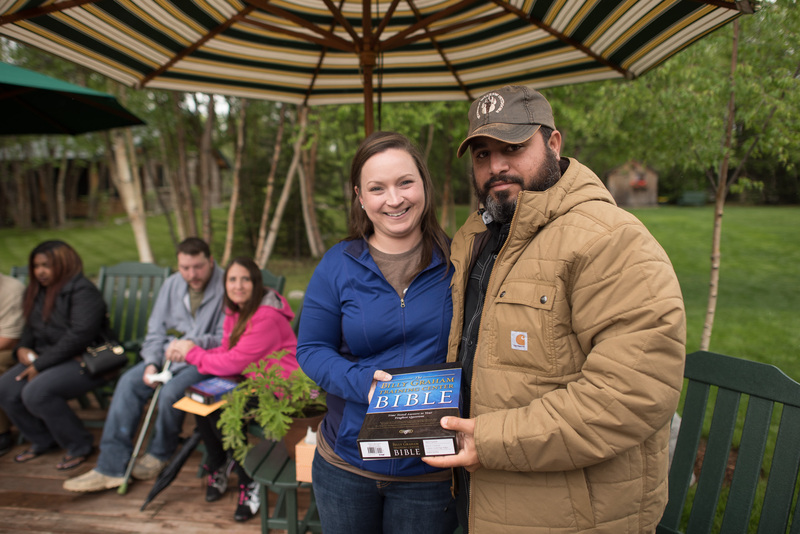 Each couple receives a signed study Bible before they depart Samaritan Lodge. The good news is that these are likely not the last hugs they will receive from our staff. An annual reunion and other connections through our aftercare program ensure opportunities for additional encouragement.